I LOVE THE FAMILY PROCLAMATION! In each phase of my life, the truths found in The Family Proclamation have blessed me with wisdom and hope, given me a clear lens to see the world around me, helped me to make good decisions for the future, and inspired me to lead an adventurous, fulfilling, and joyful life. And I'm not alone in this experience. The principles of the Family Proclamation have blessed the lives of many families the world over since it was first announced 15 years ago. ~Weekly themed link-up parties starring YOU! "What in the world is the Family Proclamation"...you can read it right here. I hope that you will ALL join us in September when we will discuss, rejoice in, learn about, and celebrate the principles of the gospel of Jesus Christ that help make happiness if family life possible. 1. Leave a comment on this post to join the party! 2. Follow my blog by clicking on the "follow" button to the left. If you tell a friend about the Family Proclamation Celebration and they leave a comment for the giveaway and mention your name in their comment you will receive an extra entry for EACH friend who RSVPs! The Giveaway will run from August 16-27th. WINNERS will be chosen randomly and will be announced on AUGUST 30! GOOD LUCK everyone, and thank you to all of the Etsy shops for so generously donating prizes. They are all fabulous! Please follow the links below to visit their shops/blogs and give them big props for their willingness to participate in this Family Proclamation Blog Party! This Family Proclamation plaque really gets to the heart of the matter! You know that's my favorite line! 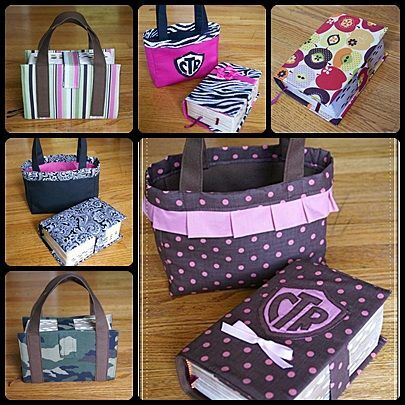 Baby Blvd has a great selection of scripture accessories! They have donated a $30 gift certificate to spend any way you'd like. with matching chain. Just lovely! His and Hers Matching Keychains...So sweet! Desserts On Demand, located in the Rexburg/Idaho Falls area is donating a special prize to the first Idahoan who RSVPs for The Family Proclamation Blog Party! Remember, this is only the beginning of the fun that is coming in September. You are certainly ambitious-go for it. I have your link on my blog! Hi Jocelyn! I love your blog and I want to participate. I'm already following you and joined facebook today. My blog address is http://primariasudonline.blogspot.com (in Portuguese). Thanks! ...and my facebook page is "primaria sud"
this is way too complicated for this tired ol' brain but I'll try. I can't wait to see all that you have in store. This is a great idea. I 'liked' this post on facebook. I came here from Chocolate on my Cranium and facebook linked to her post...does that count?? LOVE these items, so cute, and baby blvd. stuff is way cute, love all the things she's made me! Oh, and I entered Chocolate on my Cranium's giveaway. I linked up to Facebook! Came over from Cocoa's blog. I am so excited for this celebration! I also commented on Cocoa's blog. Whew, that's it. Thanks for the great Sept to look forward to. What a cool thing you're doing! I "liked" your facebook page, and I shared your blog on facebook. 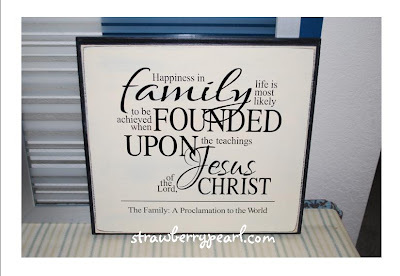 I too love the family proclamation such a wonderful tool to use in our lives and with the world! I would love to be in the draw! Thanks for the chance! I am so excited about this! I don't have a public blog to share, but I follow yours regularly - you have such great things to share! I will gladly follow your blog daily. Thanks for the motivation and fun activities. I love this site. I will follow you on my blog and facebook and will share this with others as well. I "like"d you on Facebook! I am a facebook fan :) Thanks! Thanks for promoting the family! I already follow you on the blog. I have your button on my family blog. I Have your button on my Girls' blog. It's private. What a great idea, BTW. I have a blog, but it is private, so you won't be able to link to me. Entered the other Giveaway, too. I can't believe it's been 15 years already. Where did the time go?? I love your stuff, you are always such an inspiration!!!!!! I am now a floower of your blog! I shared the link on my Facebook and liked and will put your button on my blog. I'm a follower and I also have your button! I put a button on my sidebar. PS I'm still working on the guest post. Is there a specific day you want it by? This is great! I love the family proclamation too! I linked it on facebook! I follow you on facebook of course! I have your button! LOVE IT! Jocelyn, You know you love me and want to pick me to win the plaque! That is such a GREAT prize that I would LOVE LOVE LOVE!! You are AWESOME!!!! I am very excited to see all of the cool posts about the family! 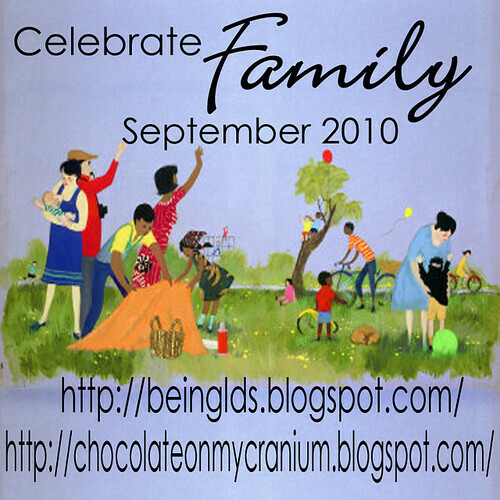 Blogged about the Family Proclamation! Liked the Family Proclamation Celebration on Facebook. I am a follower. What great prizes! The Family Proclamation is an inspired work that has blessed the lives of many. How fun! I want to join the party. I e-mailed my family/friends about this -- and SO excited to do so! And, p.s., I heard about this through I Am Woman, Carrie Stroud. I blogged about this! And linked back to your post! Thank you, thank you, thank you! I am expecting baby #3 in a little over a month. Babies #1 and 2 will turn two on SUNDAY! Needless to say, I've had my share of struggling mommy moments. And I have struggled with the birth of this new little one. So I am feeling right now like this will answer prayers and help me keep my focus, quiet my fears, flood my heart with peace and excitement instead of anxiety about all the changes and how we are going to handle them AS A FAMILY. So, thank you! I only wish I had been a part of getting it started somehow! What an example! Coming over from Cocoa's blog . . . Wait--there is an option of an entry for just a comment, too! So here's my comment. Here's my comment! I love the Proclamation, too. Thanks for helping us have a great summer as we've done all the activities. I blogged about the celebration, and linked back to you. I joined you on facebook! I linked this post to facebook. I love your ideas to celebrate the proclamation. Just found you this morning as I prepare a YW lesson about the Importance of Life. The Family Proclamation is the core of that. Thanks so much for sharing your ideas with all of us. I've linked you to my facebook and my family blog. I love the Proclamation! Thank you for promoting it! Posted on my blog about the hop. Entered at Chocolate on my Cranium as well. What part of the Proclamation don't I LOVE? My two favorite parts of it are the man and women being created equal in the eyes of God, and the part of Husband and Wife, being together forever with there families, raising there children together with good values and beliefs. I entered in Coco's as well! -because I'm not seeing enough of it in the world and I can see the hurt from the lack of it. So glad it's almost September! What of the many aspects of the Proclamation could be talked about. In our family we are going to focus on the plan of our Heavenly Father starting with the preexistence and the creation of the world. It is an essential part to the plan. Without this beautiful world we wouldn't have the amazing bodies and experiences to make choices. Another aspect I think would be interesting to learn about is how as a mother or a father we can believe what we are doing is approved of by our Father in Heaven. From listening to mothers and knowing myself, I doubt that I do enough or what my children need each day and feel guilty at the end of the day for NOT doing enough. There are my 2 cents. I also added you to my facebook page. I emailed my friend and invited her to join. Dang woman, look at you get all famous! And no one deserves it more! You are an awesome woman! I love that whatever you choose to do, you go for it full speed ahead. I really admire the way you live your life. I posted the button on my blog :) What an awesome idea you have!!! Can't wait for all the fun inspirational family posts in September! I am now a follower of your blog :) And I posted on facebook! My blog is robertandcassie.blogspot.com Thanks! I love my family, even all our extended family, and ward family. I think it is only when you truly feel in your heart that we are all brothers and sisters, no matter where in the world we live, that you start to appreciate what "family" really means. I really like reading your comments, and they often give me food for thought.